Nearly 30 years at the top of the outdoor media business blossomed from a lifelong obsession, beginning with a job at a sporting goods shop, summers inside a tent along Alaska’s Kenai River, a major in journalism, a minor in photography, and a masters in magazine publishing management. 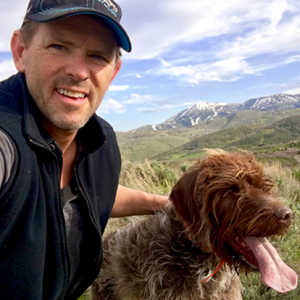 Nick Seifert’s career reads like the Who’s Who of outdoor media: Outdoor Life, Field & Stream, ESPN Outdoors, Fischer Productions, InterMedia Outdoors and now Athlon Outdoors. He’s been an editor, writer, TV producer, on-camera talent, a 14-time Emmy winner, a marketing specialist, an executive, and a sales professional who always put his clients first. Along the way, he built several businesses and operating units, helped advertising clients reach goals and grow revenue, gave back to various causes and advocated for hunting, conservation and second amendment rights. And it’s all been easy, because he loves it.